eco-building at the ZAD anti-airport post-capitalist protest site in France? Reclaim the Field Trips and learn the skills for revolution – all for free. We call this wwoofing with teeth. That got me thinking about a dog with teeth. Like a wolf. Then I thought of a cooler name. Wwolfing. Damn, I thought, that’s a cool name. What am I like? 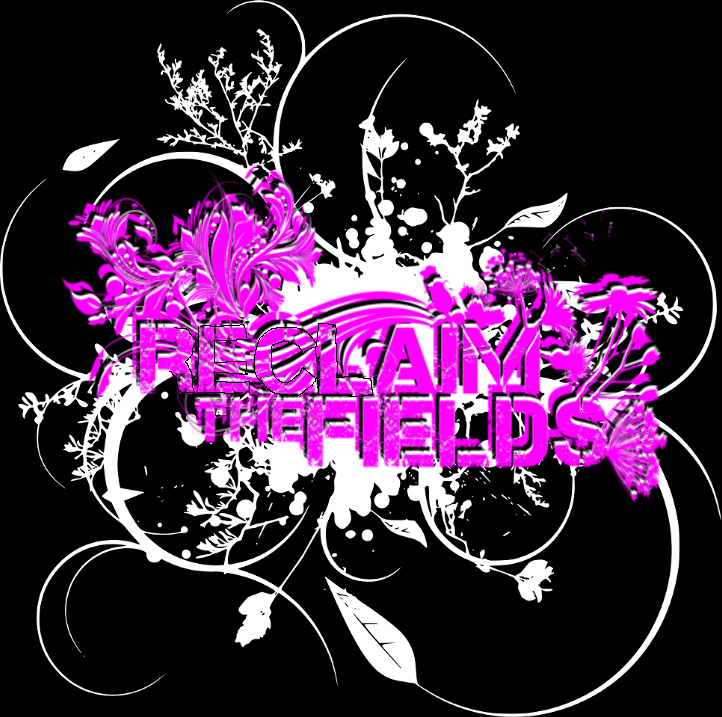 For updates, subscribe to the Reclaim the Fields mailing list. You’ll also get emails from other land rights and food autonomy activists. It is a non-profit initiative, so all the activities carried out are open to all and free. The main objectives of the project are education of children and adults, antispecisism, the creation of alternative socio-economic and management of environmental resources, annihilation of chauvinism (sexism), communal transport, permaculture, natural cures, search the purpose of life and the true nature, self-sufficiency, etc. ..
We believe that through the work of the earth, you can learn a new way of life, that is more satisfying and offers healthy habits that contrast with the impersonal “modern” lifestyle. Being in contact with nature and fresh air helps us rediscover activities considered “old” such as the importance of healthy eating, the joyous beauty of nature, the proper use of NATURAL resources. We always cook, organize evenings of poetry and collective readings, multi-ethnic cultural meetings, food preparation with antispecism orientation and run a free shop. We also do gardening (experimental-sinergic and basic Fukuoka permaculture) and ceramics. We are open to organize courses, and art, meditation, or any other things you are willing to propose. The services are “eco-style” – we are creating a sustainable-energetic system! We are looking for active people who want to help in what we do here. If you want help in the garden you need stay at least 3 weeks and be prepared to use all your entusiasm and capacity spontanusly. This is different to traditional gardening in that the aim is to get the gardens to the stage where they can flower and produce with minimal help. At the moment we have three little lands which were donated to us for use. All of them are different in some ways, and we are doing experiments to know how the plants are happier. This is the first time when we do this kind of gardening so we are glad to have someone around with knowledge but if you are a beginner it is also ok. Come and help us make the plants grow. Gardening is more like a full-time hobby than a job for us. It means that we don’t have any timetables. If it is a nice day and we feel like it we go out and do some work. However the guest can also participate in the organization of events which concern the defence of the local environment from the speculation of a big electric company. We are organizing many activities like barter market, music, ceramic, street art, art exhibition, and conferences. The ‘600 built house is just in front of the Arcidosso Castle, at the center of the medieval part. This little village is on the middle of the active vulcan Amiata. In the house there is a living area with a big living room and kitchen which are free to use for all. And downstairs there is a dormitory for the guests with three single and two double beds. We don’t have a TV, but the WI-Fi is free, a computer if it is necessary, and a library with books in many different languages. Everybody is very welcome here but if you join our group be aware the fact that this is non-profit place. Which means that we can’t provide you food (beside of course the things we grow in the gardens), only accomodation. There are always many people eat, cook, talk, play music and have a nice time but everyone participate somehow in the life together. Over the last three years, more than 2000 people have travelled to our squatted off-grid community garden. We took direct action to squat land blocking Heathrow’s third runway because it has now become necessary to break the law to prevent climate crimes like airport expansion, fracking and George Osborne’s dash for gas. We were described as “the heart of the village” by the BBC, “inspirational” by the local MP and “a deterrent for crime” by local police. The Guardian got a bit carried away when it called us “squat-topia”. That’s a bit over-eager. Calm down; it’s just a garden. 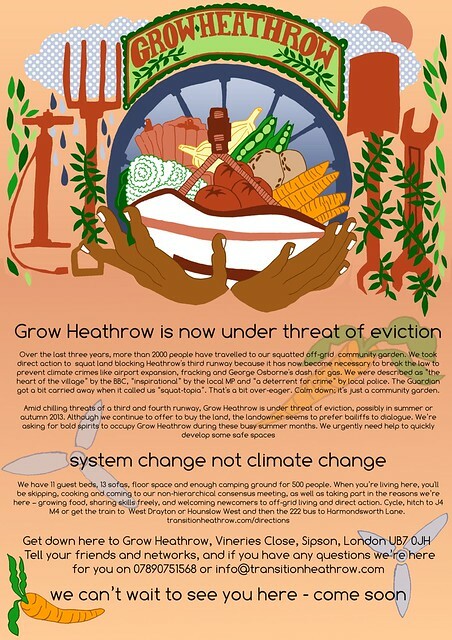 Amid chilling threats of a third and fourth runway, Grow Heathrow is under threat of eviction, possibly in summer or autumn 2013. Although we continue to offer to buy the land, the landowner seems to prefer bailiffs to dialogue. We’re asking for bold spirits to occupy Grow Heathrow during these busy summer months. We urgently need help to quickly make a safer space. We can’t wait to see you here – come soon. Inspired by Burning Man and remixed by Babylon the Beautiful, this is Building Man. Our mission – if we choose to accept it – is the re-imagination of small festival culture and beyond. Replacing an outmoded ‘leave no trace’ philosophy, Building Man will help develop permanent site infrastructures and community arts hubs across the UK. Are you ready to build the change? Join our people powered (r)evolution by signing up today! This pioneering gift-led economy is 100% participatory and organised exclusively by volunteers, which makes it completely FREE to you, the people. With more than a little help from our friends, we’re delighted to announce our gift-led project launch. Everyone’s welcome to help co-create this full power performing arts extravaganza, featuring the Magnus Puto, Undercover Hippy, Clayton Blizzard and people powered workshops from Upcycle and Solar Sense. Everything’s FREE, including a collaborative food waste banquet from the near michelin-starred People’s Kitchen and Fareshare. The End to End is a 1,000 mile free wheel adventure into new ways of being. Despite snow drifts, 20 inspired change makers will journey between permaculture projects, eco communities and organic farms from Thursday 28th March to Wednesday 17th April. Follow our intrepid explorers as they crowdfund £10,000 for the UK’s first ever Building Man on Bodenham Manor. So, it’s over to you folks. Is Building Man really ‘an idea whose time has come’? Please share this invitation with fellow Builders everywhere and help us peer to peer network this brand new festival making and community building project into another dimension. We are a collective of 8 people, called la r.O.n.c.e, who are currently settling up in South Brittany(France), and we will be happy to welcome volunteers from May in order to discover (just like us!) permaculture and organic food growing by helping out with everything that need doing on site. La « r.O.n.c.e. », (aka Resist. Organise. Nourish. Create. Exist) is a collective of farmers, artists, mechanics, cooks, permaculturists, botanists, trainers that aim to experiment with a post-capitalist life and creative forms of resistance. Our collective brings together activists (e.g. against the Notre-Dame-des-Landes airport), who are using consensus decision making and are respectiful of the expression of emotions. 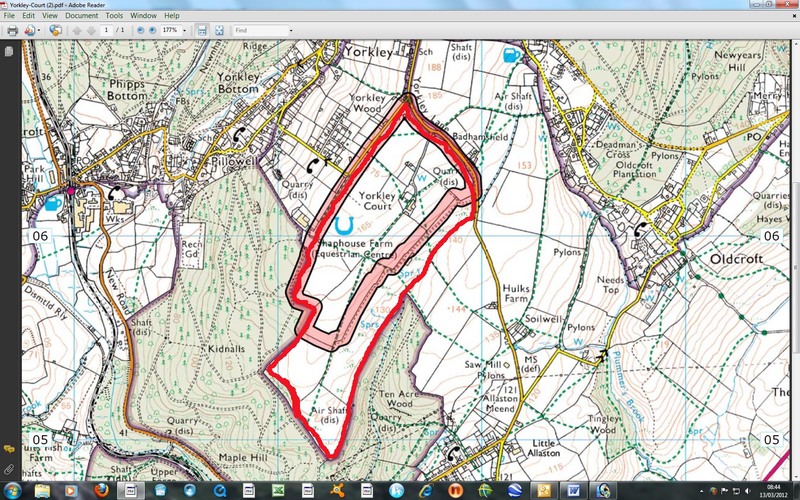 We are currently settling up on a 15 acre site, located 4 km away from a train station and within a very active region. An organic market garden is starting off this year and also has three donkeys, which will be eventually used to work the land. We are also planning a self managed mechanic workshop, a vegan nomadic kitchen, a lab/training centre on art and activism, a forest-garden and the refurbishment of buildings. We would prefer that volunteers stay about three weeks (but this would obviously need confiming after a week spent together), to have proper public liability insurance and to become a member of the « friends of la ronce » (a non profit organisation aiming to support our projects). The conditions are very basic (no hot running water, sleeping in a caravan without heating, etc) and our food is mostly vegan. We speak French and English. 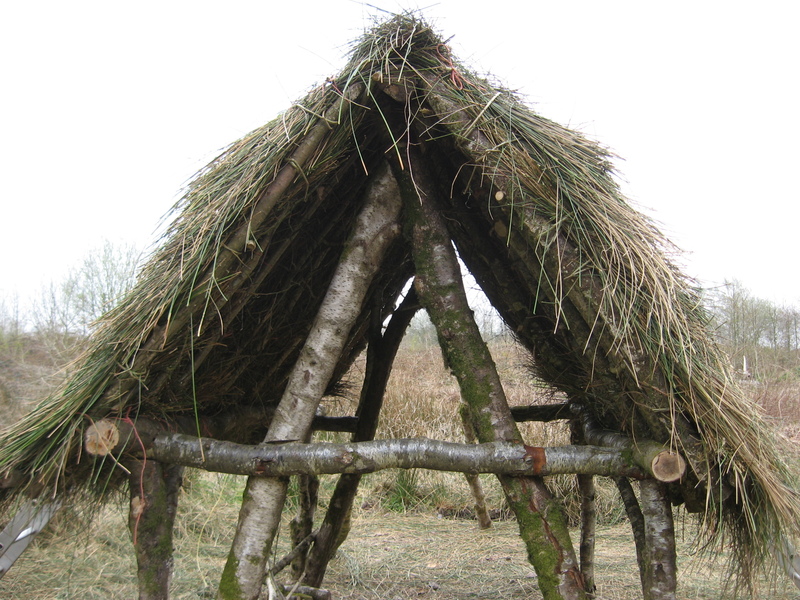 We built our 7.5m roundhouse 10 years ago and have loved living in it, off grid, spring water, cob rendered strawbales, cob and wood floor, reclaimed windows now we have two kids, dry rot and a bit more money. So we are going to take down our lovely home and rebuild it, green wood concentric frame (two storey) with a raised wooden floor with home made sheeps wool insulation, reusing the strawbales for the walls, hand making wooden window frames, turf and shingle roof. We live in a small permaculture based housing co-op (37 acres) where decisions are make by consensus, we eat together, share childcare, grow our food, have two milking goats, chickhens, ducks, pigs and working pony. April 20th – 28th Deconstruction – taking down the roundhouse many hands needed! The ZAD airport squatters in Nantes, north west France, have called for 100,000 activists to join them on 11 May for their biggest mass action ever and for growers to visit to sow seeds on 13 April. The squatted anti-capitalist and non-hierarchical protest site on the proposed zone of a new airport in Nantes saw 40,000 grassroots activists re-occupy it in November 2012. Now they’re working with local farmers to produce their own food. There are sure to be dozens, hundreds or thousands of UK activists cycling, hitching and even grouping together in vans and trains to visit and support the ZAD. Lots of the residents of Grow Heathrow, the organic community gardeners squatting Heathrow’s proposed third runway, are hoping to visit the ZAD this summer, along with lots of Reclaim the Fields activists and more. 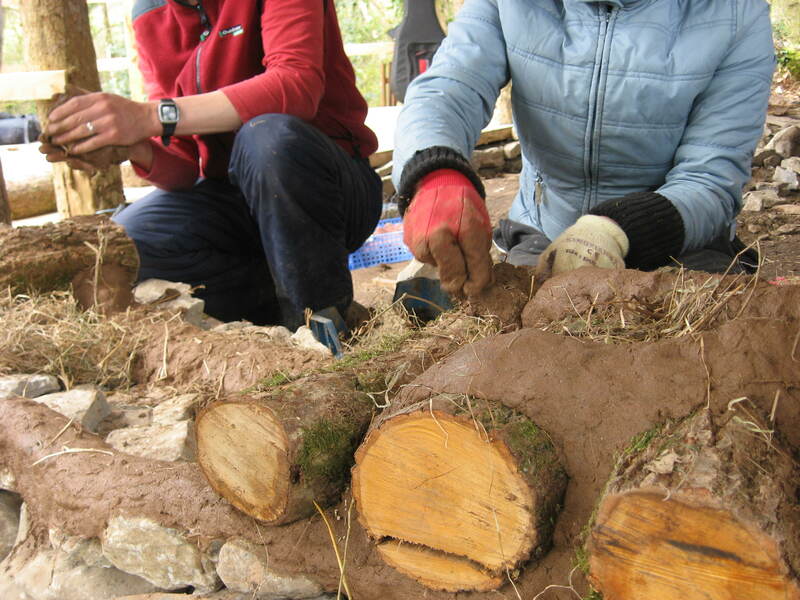 Ben Ward is creating his first cob oven (and first sustainable structure!) in the garden at his family home in Dursely, which is equally distanced between Bristol and Gloucester. He is looking for a volunteer or two to help him step into green self-building right now. Is that person you? 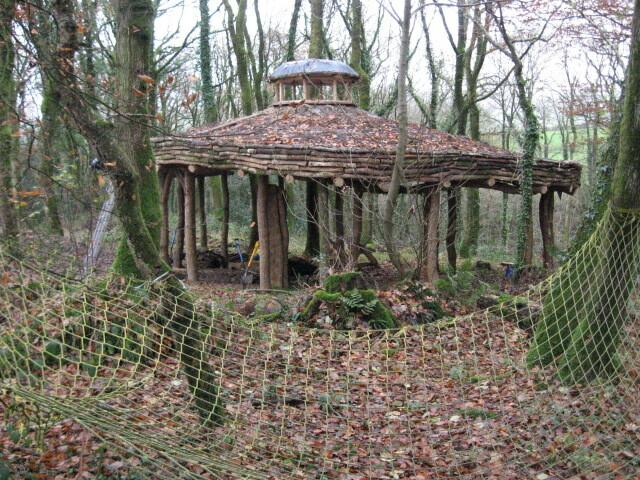 ThePOOSH.org is a recently founded not-for-profit organisation that provides its UK and global membership base with the opportunity to exchange knowledge, experience and labour associated with traditional, natural and alternative building methods. The free-to-use site lists and connects two different user types: those who are planning to undertake a sustainable self-build project and those willing to volunteer at such a project. Jane and Andy Wells are one of nine smallholdings that make up Lammas eco village in West Wales. They live completely off grid and grow the majority of their own food. They have recently created a build project profile on thePOOSH.org and are seeking a variety of volunteers to assist them build their timber frame round house with load bearing straw bale extension. With years of experience between them, an arsenal of books and neighbours including the professional green builder Simon Dale, Jane and Andy’s build is likely to be an incredible POOSHing experience. There is a global trend that is only getting bigger and bigger. People are becoming more contemplative about how they choose to live their lives on this planet. They are considering their consumption habits, lifestyles and values. Buildings account for around 50% of all CO² emissions in the United Kingdom, according to the UK Green Building Council. For a lot of people, you see the convergence of these choices culminating in the building of their homes, should they choose to do so. The oft-asked question is: how do I build my own home? Sustainable self-build techniques are a serious, rational and innovative response to some of the environmental and economic challenges that face humanity in the 21st century. Having evolved from traditional and proven building methods, sustainable building methods are a viable option for all to self-build their home. To view all of the local and global build projects, and to create your free profile, thePOOSH.org and for latest updates, like us on Facebook or follow us and chat on Twitter. UK co-ordination of the international farming organization La Via Campesina to be launched. On March 3rd 2013 the inaugural annual general meeting of the international farming organization La Via Campesina UK will be held at Ruskin Mill Farm, Gloucestershire, marking the launch of the organisation’s first UK-wide co-ordination. La Via Campesina was founded in 1993 to represent the rights of small-scale traditional food producers around the world. Today the organisation represents more than 400 million farmers, growers, pastoralists and fishermen and campaigns for their rights to be recognised by national and international policies. Via Campesina UK is a coalition of producers meaning that membership is open to anyone who is actively involved in farming, fishing or fibre enterprises. The co-ordination will bring together like-minded producers to identify and organise targeted campaigns and lobby UK and European parliaments on issues affecting the livelihoods of small-scale producers. The organisation will also provide a network for producers to share farming skills and knowledge through on-farm training, tours and working groups. Central to Via Campesina’s identity is the campaign for Food Sovereignty launched in 1996 and defined as – “The right of communities to define their own food and farming systems”. In practice food sovereignty describes the way farm shops, farmers’ markets and local box-schemes already connect producers and consumers across the UK today. While many farmers are associated with existing unions in the UK, Via Campesina is unique in offering a direct link to the activities and experiences of like-minded producers across Europe, and the rest of the world. Yorkley Court Farm is hosting this year’s post-post-post-end-of-whatever-that-was-about RTF spring gathering. We are inviting Wwolfers and any one who would like to help set up infrastructure and organisation of the gathering to a seed camp. This camp will begin a week before the start of the gathering on 8th March with a two day permaculture course hosted by Tomas Remiarz. The first day of the gathering is Saturday 16th and will end on Monday 25th. The weekends will be focused on talks, presentations, workshops and discussion. In the week days between there will be lots of practical activities to be getting on with around the farm and the forest. We will try to get together all resources and equipment we’ll need for the gathering but we will not make any decisions about the organisational structures until the seed camp begins. This is process that offers a great learning opportunity and we want this to be shared with as many people as possible. 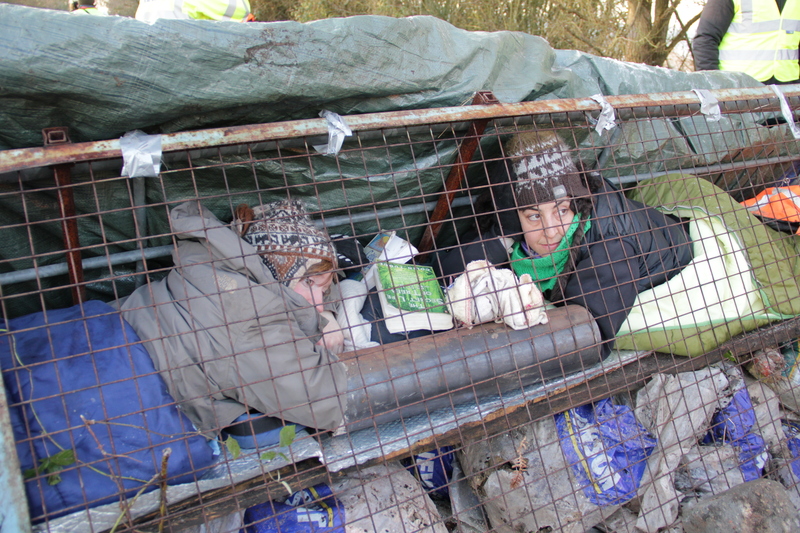 Camp Decoy, the last of three camps standing in the way of the proposed Bexhill – Hastings Link Road (BHLR), faces eviction next Monday (28 Jan). If you have ever thought you might come and take a stand against this horrifying scheme, now’s the time. We need to do absolutely everything we can to peacefully resist this eviction. We have been truly humbled over the last few weeks by the level of support from the local community, and from well-wishers far and wide. But now we need people, lots of people, to stand together and say: “Enough is enough, it’s time to protect the countryside”. See here for maps and directions from the nearest train station (Crowhurst).